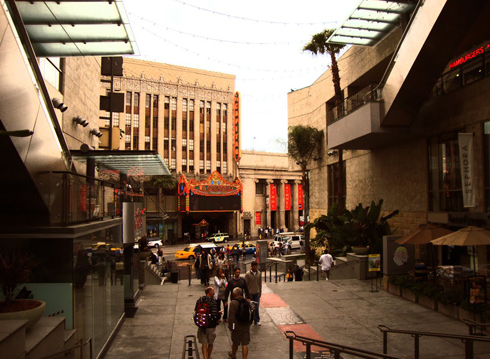 Over chipped pavement shadowed by golden facades, the palm tree lined streets of Hollywood Boulevard are brimming with activity. 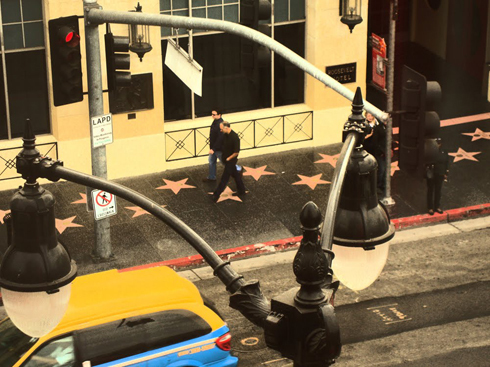 In a dream world driven by the promise of opportunity and stardom, the vendors of this dizzying street harp on about star homes, movie tours, and even their own work. It's lavish and seedy, exhilarating and perhaps even a bit sad. 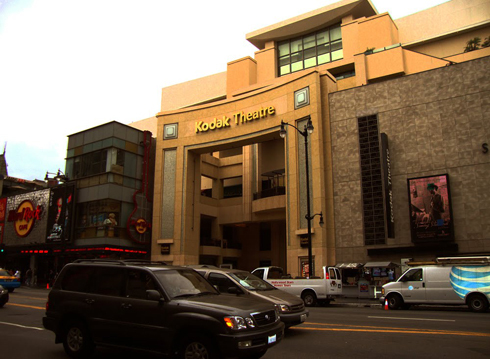 The Kodak Theatre, home of the Academy Awards, is kitty corner to dingy tourist shops, posh retail outlets, make-shift museums, and chain restaurants. I love it for the same reason I love Las Vegas. 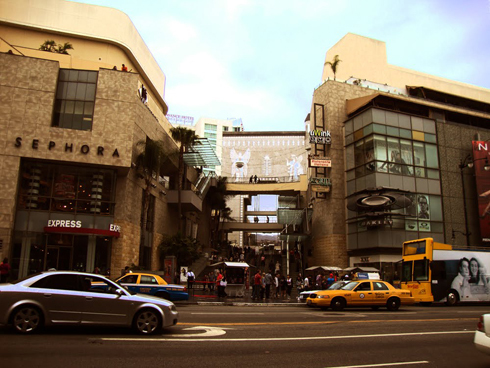 It's an illusion that strives to bridge the gap between the homeless guy on the corner and the international celebrity that lives in the hills. The chances of seeing a real star amongst the impersonators is slim, yet still the continuous camera flashes dictate that everyone is invested in the scene. A small time independent filmmaker like me is quickly lost in fantasy. As a kid this seemed believable, attainable, and even desirable. It might as well be a movie set now. 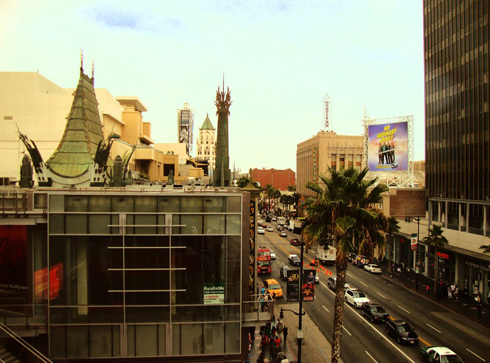 Hollywood Boulevard is an amazing place that allows you to get lost in a flurry of movie gossip and entertainment euphoria, but it's also just symbolism on steroids. A fun ride for an afternoon, you can't help but feel like a commodity in such a tourist saturated locale. 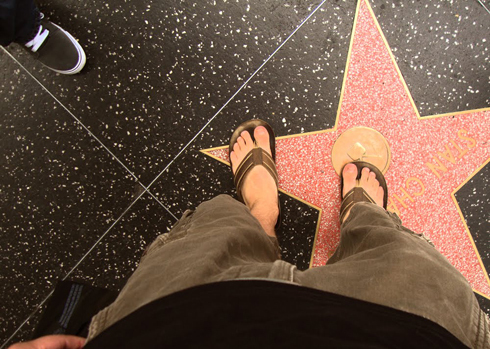 I marvel at the Oscar statue knock-offs and amounts of people taking pictures of sidewalks, myself included. 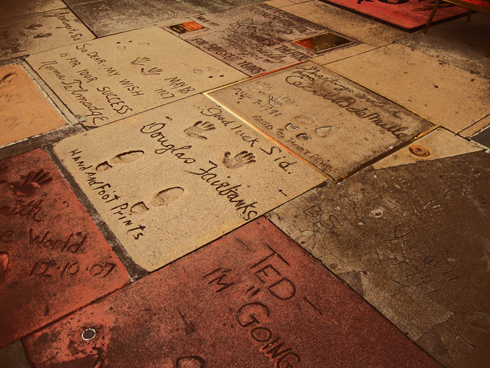 Hollywood Boulevard inadvertently forces you to consider all those who haven't made it while touring a walk of fame that lists those who have. Who are some of these stars anyway? The juxtaposition makes me appreciate my day to day editing for it's lack of glamour. 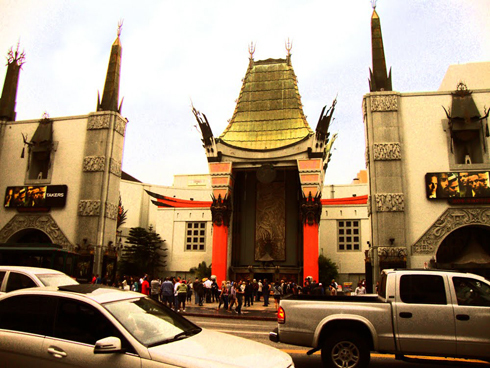 Another busload of tourists is unloaded in front of Grauman's Chinese Theatre as we head into Madame Tussuad's to take our pictures with wax. 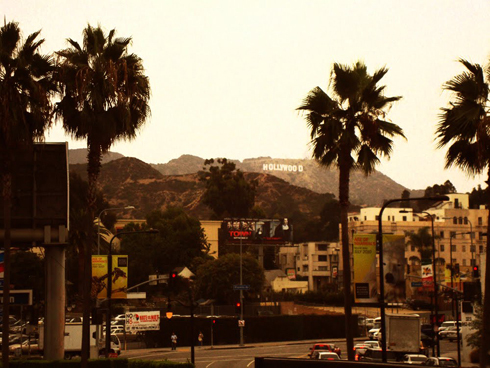 It's just another day in Hollywood. 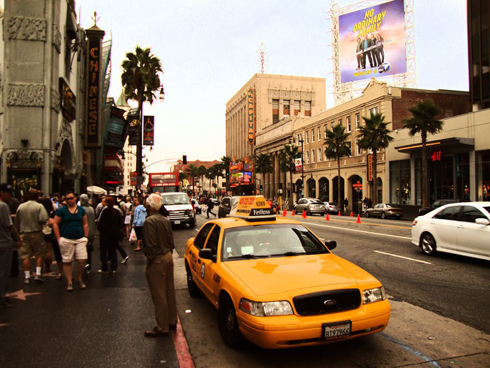 For more, check out the footage I shot of Hollywood Blvd. in 2004 and my complete photo set from 2010.